GE Life has introduced a fourth version of its high income and growth plan that is also available as an individual savings account and for personal equity plan transfers. This offshore investment is linked to the EuroStoxx 50 index and offers annual income at 10.25 per cent over three years or a monthly option at 0.78 per cent. A growth option is available at 33 per cent, which is payable at the end of the three year and two month term. The return of capital is guaranteed only if the Eurostoxx 50 index does not fall by more than 20 per cent during the term. If it falls between 20 and 30 per cent the capital is reduced by one per cent for each one per cent fall in the index. There is a higher level of capital erosion if the index falls by more than 30 per cent. Under the income option, capital will be reduced by two per cent for every one per cent fall in the index. Returns under the growth option will be reduced by 2.66 per cent for each one per cent fall in the index. The prospects for Europe are bright in 2001 so the choice of the Eurostoxx 50 is good. However, investors should be prepared for the risk of capital erosion. The EuroStoxx 50 index rose from 2640.04 points on January 9, 1998 to 4129.24 points on March 9, 2001. 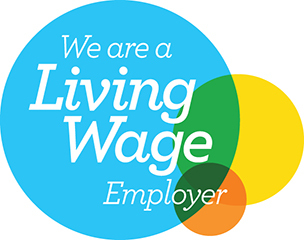 The Living Wage Foundation has announced that Johnson Fleming was accredited as a Living Wage employer earlier this month.